Anemia is a condition marked by inadequate oxygen-carrying capacity of the blood. An insufficient number of red blood cells or an abnormally low amount of oxygen-transporting hemoglobin within the red blood cells can cause anemia. Anemias are commonly grouped according to the appearance of the red blood cells. Microcytic hypochromic anemias are those with abnormally small red blood cells containing a low concentration of hemoglobin. Disturbances in hemoglobin and red blood cell production in the bone marrow cause microcytic hypochromic anemias. Iron deficiency anemia is the most prevalent type of anemia in general and of microcytic anemia in particular, reports Dr. James Mason in a U.S. National Library of Medicine Medline Plus entry. This disorder develops when the amount of iron absorbed from the diet fails to keep pace with total body iron losses, leading to an iron deficiency. Because iron is an essential component of hemoglobin, insufficient iron slows red blood cell production. The red blood cells produced are microcytic and hypochromic. Iron deficiency anemia develops when the diet lacks iron, the gastrointestinal tract fails to absorb dietary iron, or the amount of iron lost by the body is abnormally high. The National Heart, Lung and Blood Institute reports that menstruation, childbirth, gastrointestinal bleeding and intestinal parasites can cause excessive iron losses, leading to iron deficiency. Prolonged breastfeeding, excessive amounts of cows' milk and strict vegan diets may lead to iron deficiency anemia due to insufficient dietary iron. Certain medications, removal of the stomach or large sections of the small intestine, and malabsorptive intestinal diseases such as Crohn's or celiac disease can interfere with iron absorption. Treatment of iron deficiency anemia centers on replenishing the body's iron stores. The sideroblastic anemias are characterized by a defect in the production of hemoglobin. Specifically, incorporation of iron into the hemoglobin molecule is defective, explains the medical reference text "Hematology Clinical and Laboratory Practice." The defect causes a decreased number of circulating red blood cells. Those that reach the circulation are microcytic and hypochromic. Sideroblastic anemia can be inherited or acquired. Copper and vitamin B6 deficiencies, excessive alcohol consumption and certain medications can precipitate sideroblastic anemia. Correction of the underlying cause often corrects the acquired form of the condition. 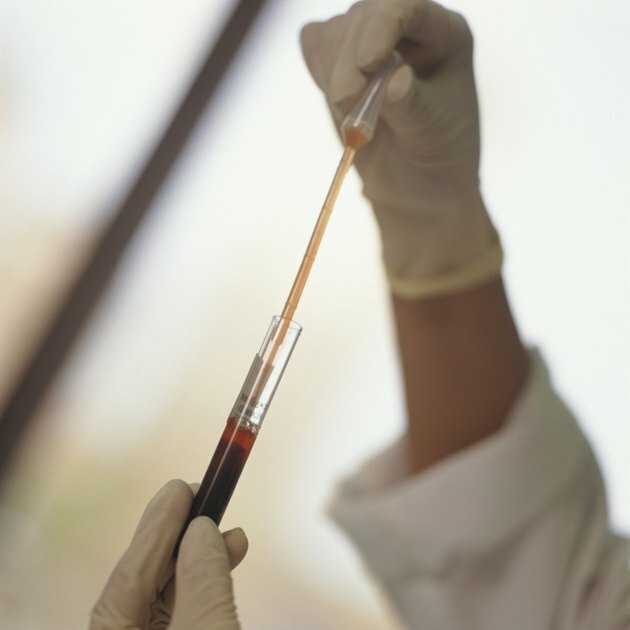 Frequent blood transfusions prove necessary for people with inherited sideroblastic anemia. The thalassemias are a group of inherited blood disorders characterized by defects in the protein portions of the hemoglobin molecule. The thalassemias, including alpha thalassemia and beta thalassemia, cause a microcytic hypochromic anemia. The alpha thalassemias most commonly occur in people of Chinese, Indian, Southeast Asian or Filipino ancestry, reports the National Heart, Lung and Blood Institute. Beta thalassemias prove most common in people of Mediterranean, African or Asian ancestry. The severity of anemia associated with the thalassemias varies, depending on the number of defective genes inherited.